This mysterious and enigmatic stone monument is evidence of the incredible skills of our ancestors who inhabited the region of what today is known as Peru. This huge ‘stargate’ is one of the most impressive monuments in the region, but the truth behind it could be far greater than any of us thought possible. The so-called Stargate was discovered by Jose Luis Delgado Mamanu, a local mountaineering guide who was exploring the area. While enjoying the view at the Hayu Marca mountain region located in southern Peru, he came across the giant door-like structure which was carved out of a huge rock that measures seven meters in height and seven meters in width, with a mysterious ‘door-like’ feature at its center. According to some legends, the smaller ‘door’ represents the entrance for mortal souls, while the larger and more symmetrical ‘entrance’ accounts for the entrance used by deities to access our realm. Curiously, Mamani stated that he had long before dreamed about this structure and saw what appeared to be a door covered with pink marble with several figures located to the sides. Local legends say that in the distant past, an Incan priest called Amaru Muru, from the temple of the seven rays fled from his temple with a sacred golden disk known as “the key to the gods of the seven rays.“ The priest hid in the mountains of Hayu Brand afraid that the Spanish might take the key from him. Later the priest arrived at the “Gate of the Gods” at Hayu Marca, where he showed the key to several priests and shamans of the area. After they performed a ritual, the door opened with a blue light emanating from it. The priest, Amaru Muru handed the golden disk to one of the shamans and entered the door and was never seen again. These visions are closely linked to the legends of the native Indians of the area that tell that this “door” was a “gateway to the land of the Gods.” Legends speak that in the distant past, great heroes crossed into the land of the gods, enjoying a prosperous and glorious immortal life. But… is it just a theory? 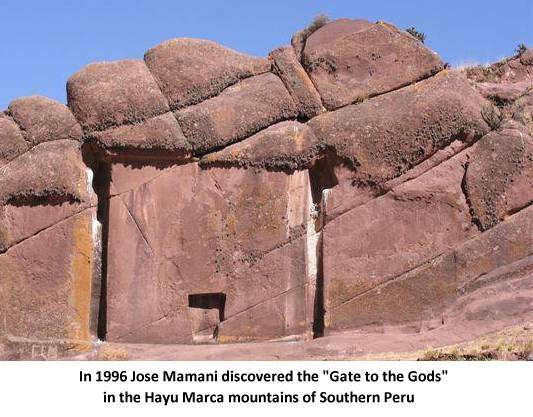 Is it possible that mysterious places like the “Gate of the Gods” at Hayu Marca are mysterious monuments that go far beyond our ‘rational’ understanding? Is it possible that like many other monuments, this too is part of the global network of ancient sites with technology not understood by today’s generation? The “Gate of the Gods” at Hayu Marca resembles the Puerta Del Sol de Tiwanaku (Tiahuanaco) and five other archaeological sites in the vicinity. Mysteriously if we draw straight lines between the Gate of the Gods” at Hayu Marca, the Puerta del Sol de Tiwanaku and other archaeological sites we get a strange cross that joins at the center at the plateau of Lake Titicaca, one of the most sacred places in the region. Is it possible that there are “portals” located on Earth which are connected to other galaxies? Planets? Dimensions? And that one of those portals is the “Gate of the Gods” at Hayu Marca? Is it possible that these ancient texts are more than just stories of the past? And that there is something genuine and unique about them? We look forward to finding out more about these mysterious locations and their hidden secrets. If the Hayu Marca gate of the gods is, in fact, an ancient stargate, is it possible that others exist elsewhere on the planet? And if so… where do they lead? 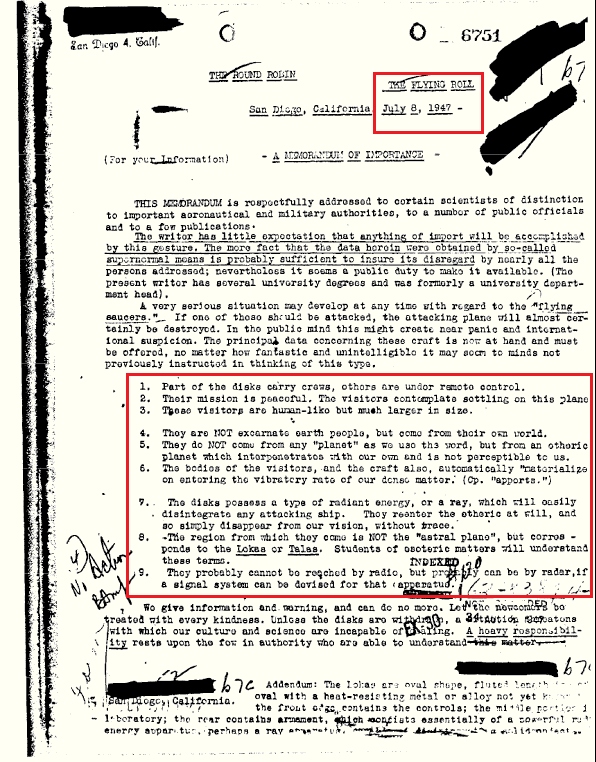 According to reports and “Declassified” documents, we have been visited by numbers of extraterrestrial species, some of these are not only from other planets, but from other dimensions. Some of these beings originate from an ethereal plane coexistent with our physical universe. These “entities”, which could “materialize” on our planet appeared as giant translucent figures. Is it possible that these beings used Stargates like the one at Hayu Marca to travel between dimensions? And what if all of this is more than just a theory. A theory that we have failed to understand due to our skepticism towards these subjects?